PRICES ARE ACTUALIZED BY THE RUBLE COURSE AS OF 11/05/2015 (0.45 CPC). PRICES MAY CHANGE. REFINE AT THE BOOKING. 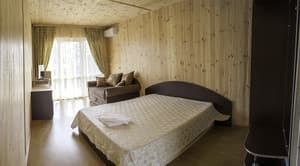 Cottage "Dionysus" is located in the cooperative "Otrada", in Alushta - Professor's Corner, near the park zone, 6 minutes walk from the sea. "Dionysus" is a four-storey, wooden, detached cottage surrounded by greenery of trees. In the lobby of the first floor - plasma TV and refrigerator. 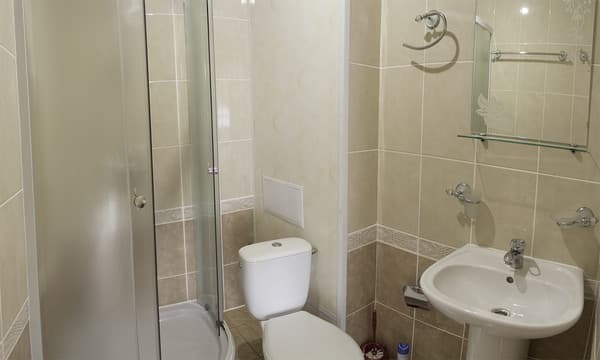 The hotel offers 16 comfortable rooms: 7 double rooms (2 with their own kitchen), 9 - one-room 2, 3 and 4-bed rooms with all amenities, 14 rooms have balconies with sea views. Near the cottage there is a parking lot, as well as the entire infrastructure of the Alushta embankment with bars, cafes, a dining room, water attractions. Отдыхали с мужем в августе 2015г, номер чистый, есть все необходимое: холодильник, фен, чайник, кондиционер. Атмосфера благоприятная, все располагает к отдыху. Жили на 4 этаже, проблемы с водой. Такое впечатление, что экономят на электричестве и насосы работают в экономном режиме. Обратились к администратору, пообещали увеличить напор, но особых изменений не увидели. Вода практически просто капала. 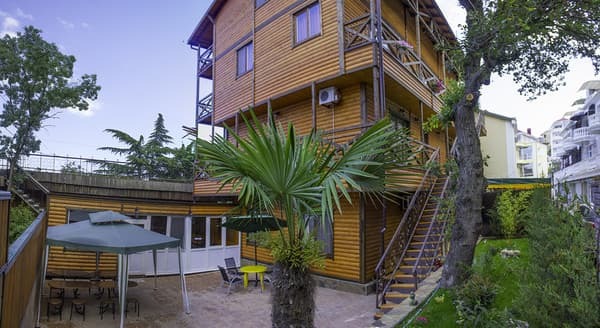 Cottage "Dionysus" is located on the territory of the cooperative "Otrada", in Alushta - Professor's Corner, near the sanatorium "Sea Corner", 6 minutes walk from the sea. From the railway station of Simferopol to Alushta - trolley № 51 Simferopol-Alushta, further trolley - №2 or shuttle taxi to the stop Professor's Corner, to the sanatorium "Sea Corner". It is also possible to transfer from Simferopol to the hotel.